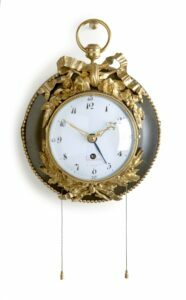 The eight-day, spring-driven brass movement of this cartel wall clock has circular plates and going and striking trains. 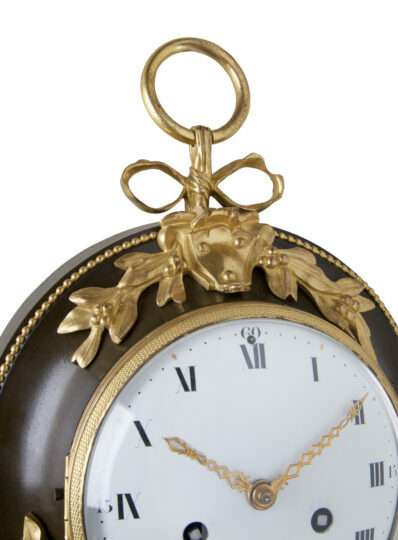 The going train has anchor escapement and short silk-suspended pendulum. 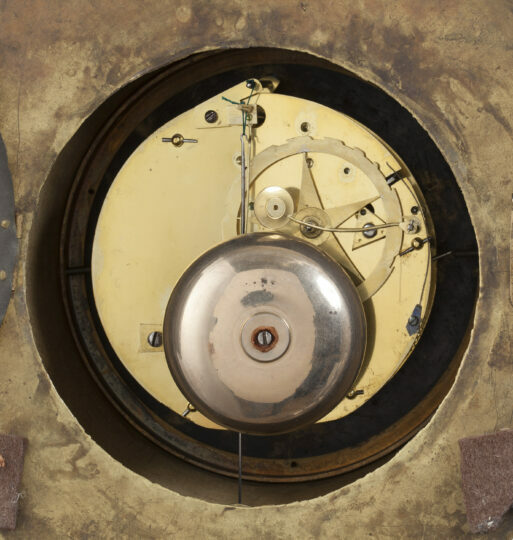 The striking train, regulated by an outside count wheel, indicates the hours fully and the half hours with a single stroke on a bell. The circular white enamel dial has a Roman chapter ring with Arabic quarter-hour, five-minute and minute divisions. The dial is protected by a glass set in an engine-turned bezel. 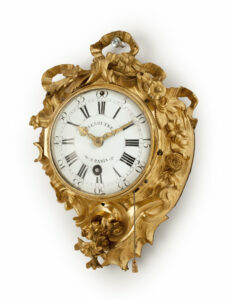 The time is indicated by a fine pair of pierced gilt-brass hands. The clock is wound from the front. Above the XII is a square for regulating the going train. The circular bronzed-brass case is embellished by pearl strings, as well as leaf and berry ornaments, the lower one ending in tassels. The backdoor gives access to the pendulum. 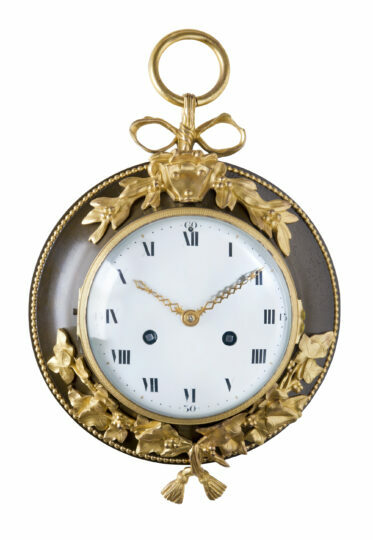 The dial is protected by a convex glass, set in an engine-turned gilt brass bezel. 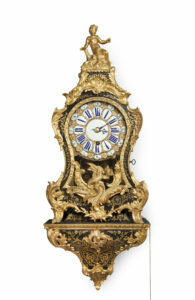 The clock is surmounted by a gilt-brass bow with a suspension ring.